Home / Chapters / U.S. 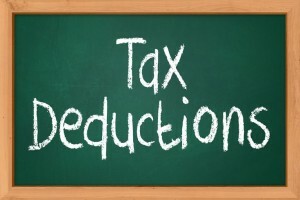 Personal Income Tax Deductions for BarbershoppersBecome A Member! The Barbershop Harmony Society shares the following as a guide, not an authority on US tax law. Always consult with a tax accountant or other professional, when in doubt. Some things you do as a Barbershopper are tax deductible. If you itemize your deductions, you may be entitled to include some expense for barbershop activity. If you had verifiable out‐of‐pocket expense in connection with a chapter duty as an elected or appointed officer or board member, or, if you sang in one or more local shows, such expenses like travel (IRS determined rate per mile, or actual cost) telephone, postage, parking, etc., for which you were not reimbursed, may be deductible. The expense of travel to chapter meetings is not deductible unless you hold an office directly involved in the conduct of the meeting. A different rule applies to travel away‐from‐home. Transportation, meals, and lodging may only be deducted if there is no significant element of personal pleasure, recreation or vacation in the trip. The deduction for travel expenses won’t be denied simply because you enjoy providing services to the charitable organization. Even if you enjoy the trip, you can take a charitable contribution deduction for your travel expenses if you are on duty in a genuine and substantial sense throughout the trip. However, if you have only nominal duties, or if for significant parts of the trip other activities (e.g., golf games, sightseeing, and similar activities) heavily overbalance singing and participation in meetings as a duty for the away‐from‐home expenses, you can’t deduct your travel expenses. The cost of tuition at schools is specifically barred as a deduction… as well as dues. With Form 1040, use Schedule A, under “gifts to charity, other than cash or check,” enter the total of your out‐of‐pocket expense. If over $500 attach the appropriate schedule and categorize expenses by groups (lodging, transportation, etc. ), captioned “Expenses incurred in connection with contributions of services to an organization classed as exempt under Section 501 (c) (3).” Then state the name and location of your chapter and the full name of the Society. Your chapter should have a list of events that are applicable to this expense tabulation. Your cash contributions to your chapter, district, the Society or to Harmony Foundation International may be directly deductible. Include this figure in Schedule A, under “gifts to charity, cash or check.” Be sure to retain verifying records such as appointment books, calendars with notes, etc. For further clarity, consult IRS Publication 526 Charitable Contributions.